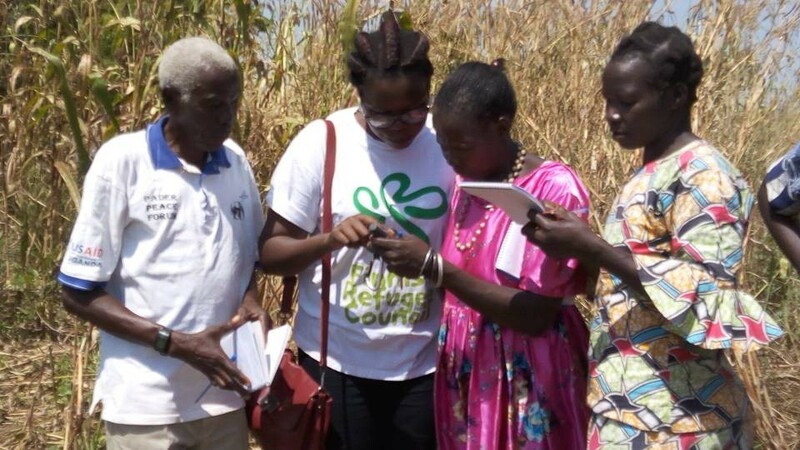 The GLTN, through the Uganda Community Based Association for Women and Children’s Welfare, (UCOBAC), a member of Huairou Commission and a partner within the GLTN network is supporting the documentation of women’s land rights in Pader District, Northern Uganda. The project, ‘Support to Strengthening Women’s Land Rights and Security of Tenure for all, through the Implementation of Innovative and Gender Sensitive Land Tools and Approaches’ commenced in August 2017. 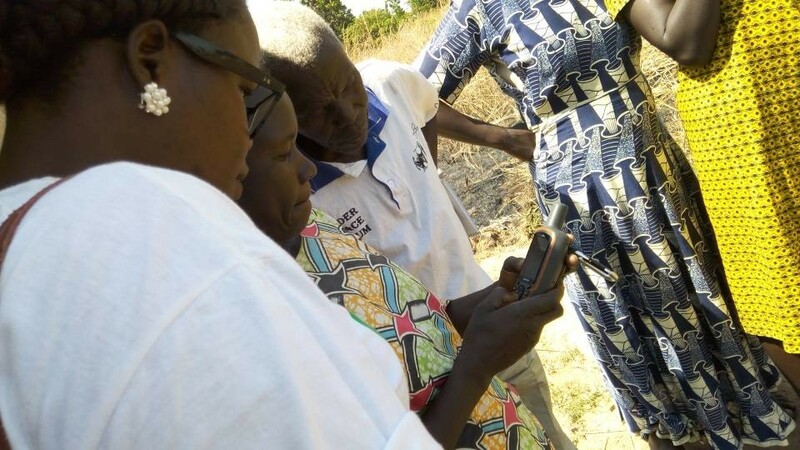 One key result of this project is to provide Certificates of Customary Ownership (CCO) to land owners using the STDM processes of mapping and participatory enumerations. 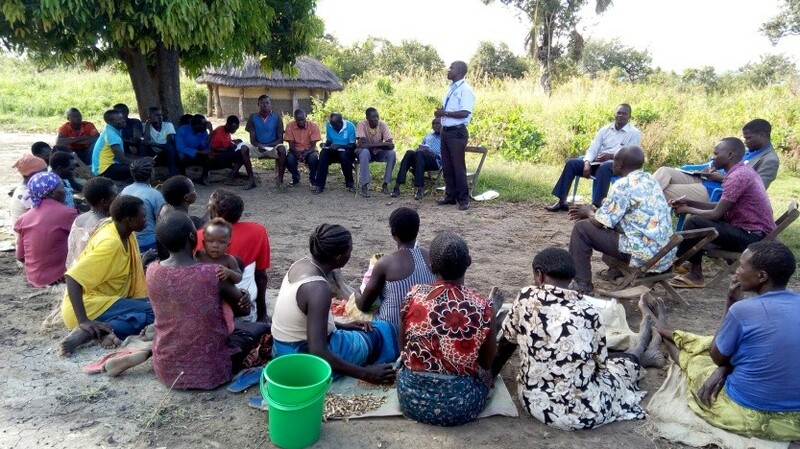 The local community in Pader has been sensitized on land rights, specifically on customary land tenure and on registration of customary land rights. 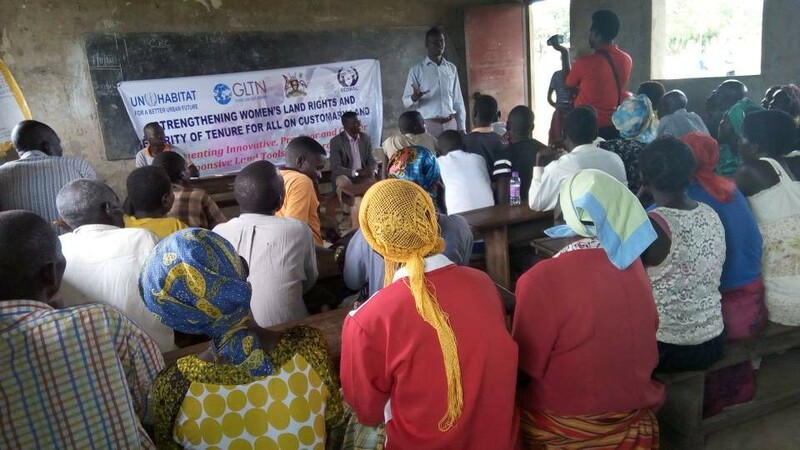 Training of land actors and land rights registry teams on land, and on the different processes involved in acquiring Certificates of Customary Ownership has also been conducted. 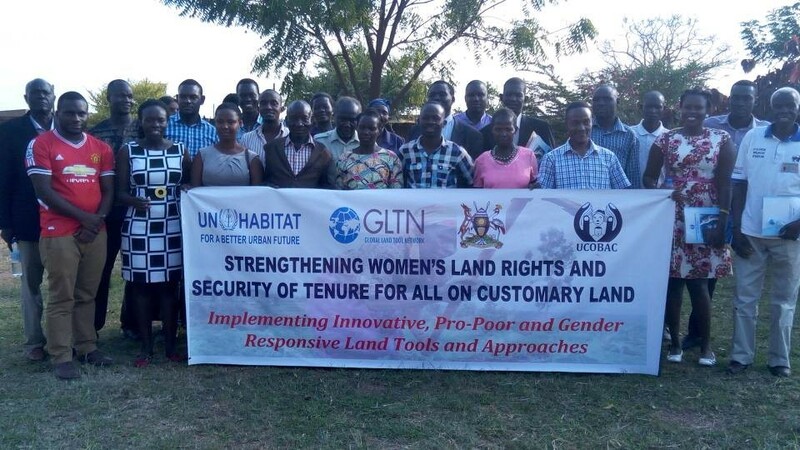 The training held in at the beginning of December 2017 had twenty-five (25) participants who included the District Land Officer-Pader District, Area Land Committee members, Pajule Sub County, District Land Board members, Project Data Collectors, Subcounty Chief/Recorder, The LC1 Chairman and Village Elders of Ogago Parish. It was facilitated by Senior Land Officer from MLHUD and supported the GLTN representative in Uganda, representatives from UCOBAC Pader and a young surveyor under the Volunteer Community Surveyor Program (VCSP). The project has also created land rights registry teams on the STDM processes; participatory enumerations, mapping and analysis. The teams were trained on the STDM and proceeded to carry out a pre-test in preparation for the actual data collection activities. 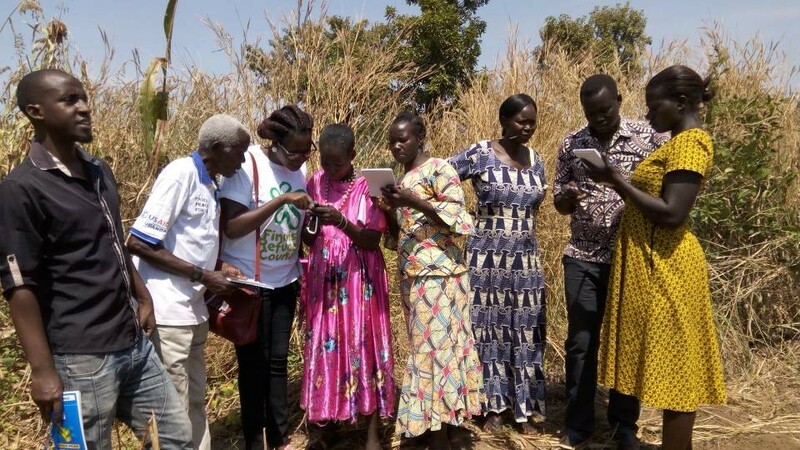 A community driven land rights recordation and data collection exercise has since commenced supported by the technical officers from ACTogether Uganda. ACTogether Uganda/SDI, a GLTN partner in Uganda. Pictures show different project activities.